is really starting to annoy me. I don't mind spikes on my stars when I'm using a scope that has a spider, but with a refractor I want to see round stars. Sadly there isn't much to be done except to either use a scope with a spider to cover it up or switch to a camera with a different sensor. When I look at my own images, all I see are stars with stubby little spikes on them. I envy those of you who can overlook minor annoyances like this. Learned something new, I had no idea that's what caused it. I agree, completely annoying. This is interesting. I had never noticed the effect before. I don't have a KAF-8300 camera but have looked closely at and processed images from one. I guess I just overlooked the short diffraction effects. Does anyone know why the KAF-8300 sensor shows diffraction from the micro-lenses compared to other cameras? I have a Sony ICX-694M based camera and just examined some of my images. I see no clear hint of such diffraction even though the Sony also uses micro-lenses. I've owned 3 different KAF-8300 cameras and they all exhibited this diffraction issue. It's something a lot of folks just live with and I bet most owners aren't bothered by it. I'm trying very hard not to let it get to me because everything else about the camera is good. concentrate light to let incoming photons to fall only onto the active region of the pixel (to avoid wasted photons". Microlens-based image sensor design is used almost in 100% of the modern sensors thus your observation might be from different sources. Nope its from the mircolenses... I've had it confirmed by QSI concerning my 683. I have them too... oh well. Its a great camera, I can live with it. Its worse when undersampled. Its really bad when I use my Star71, but I dont even notice them with my RC. Its not because the spikes from the spiders cover them up either. Anis would see 8 spikes with his Epsilon, depending on how the scope was oriented. EDIT: Thats not too bad, about like what I see with my 107mm. You should see the stars with my Star71 and the 8300....all the little stars have spikes. Personally, I like spikes so it just doesn't bother me. I'm OK with it at 1:1, but when downsampled they look like diamonds instead of being round. Phil, have you tried drizzling your images? There is another thread on that topic, and one of the benefits of drizzling (even with 1x sampling) is better star profiles. Might help with the diamond stars. 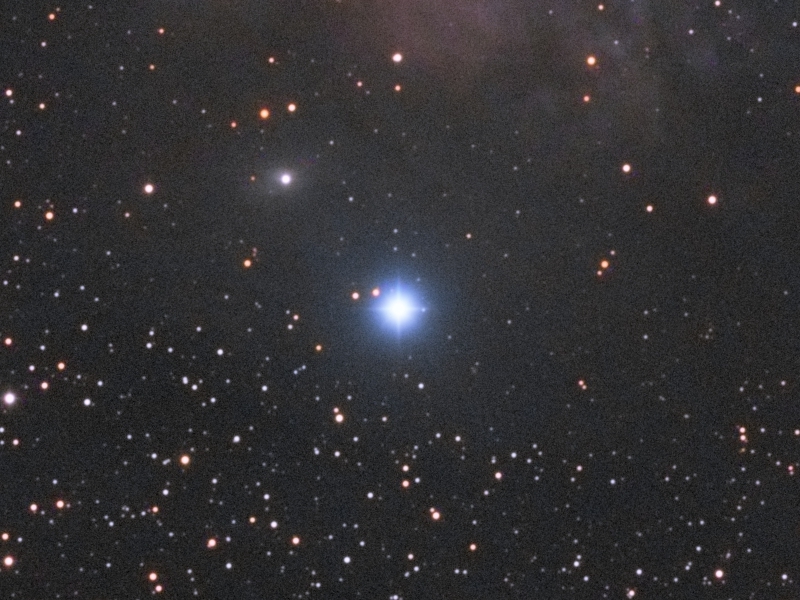 I was just noticing that my images with my new 8300 & star 71 have diffraction spikes on the stars, and was puzzled at why. Thanks for posting this! Jon, it doesn't... unfortunately it just makes it more pronounced. Most of my recent pictures are drizzled and it's really apparent.